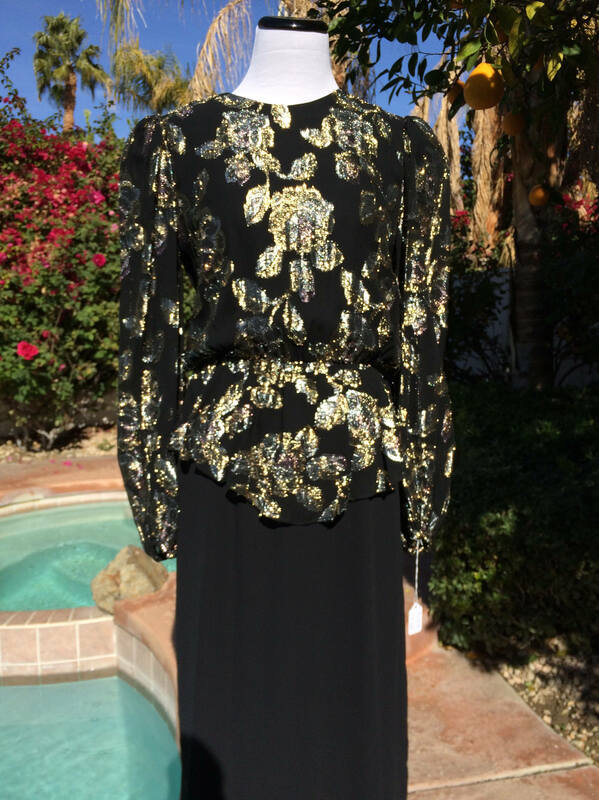 Black and Gold Metallic 80's Disco/Party Dress,Size 5/6. 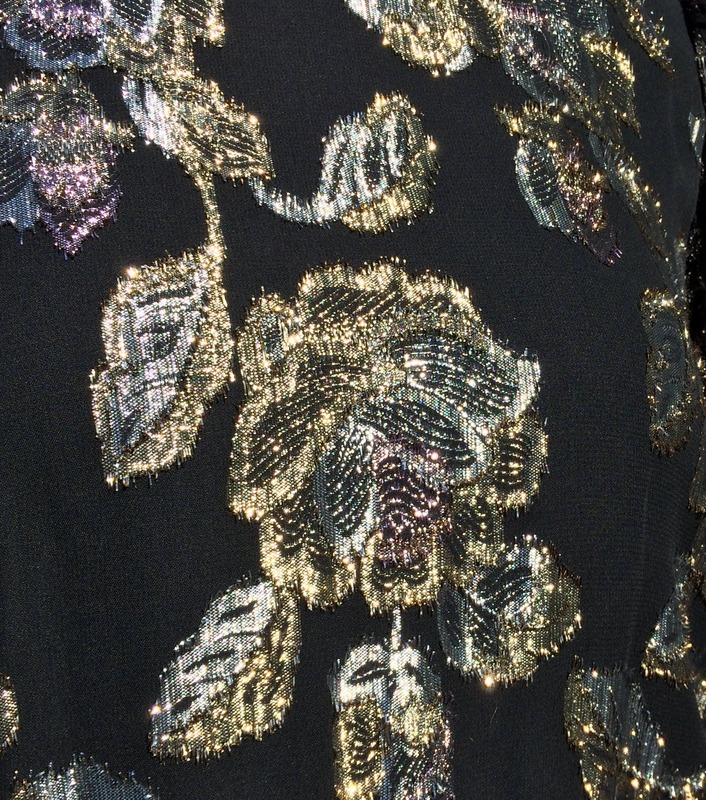 Really cite 80's gold metallic leaves on upper part of dress, a black rayon bottom which is lined. 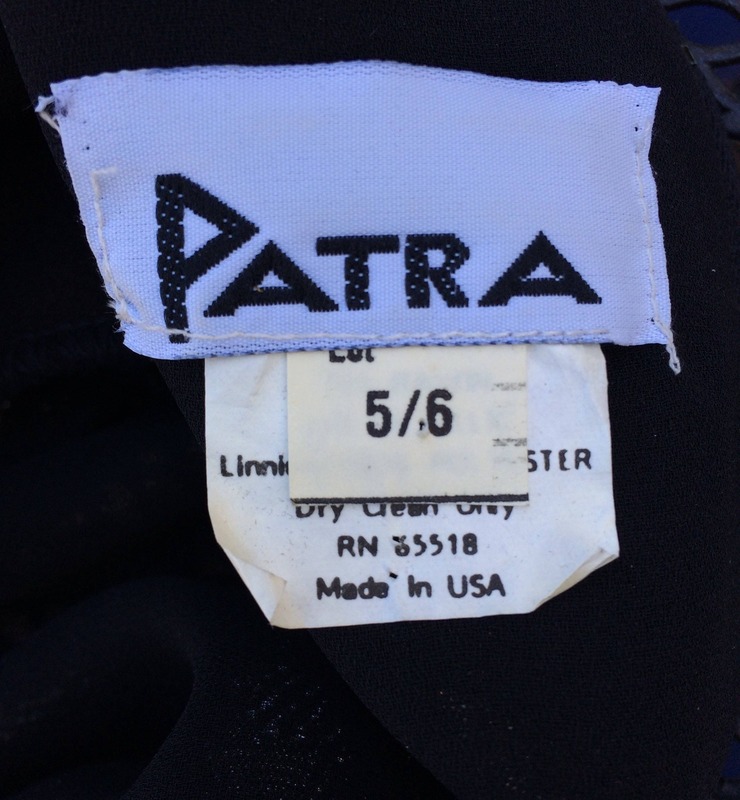 The tag reads Patra size 5/6. This would be a great dress to wear clubbing,to a special event or even out to a nice dinner. 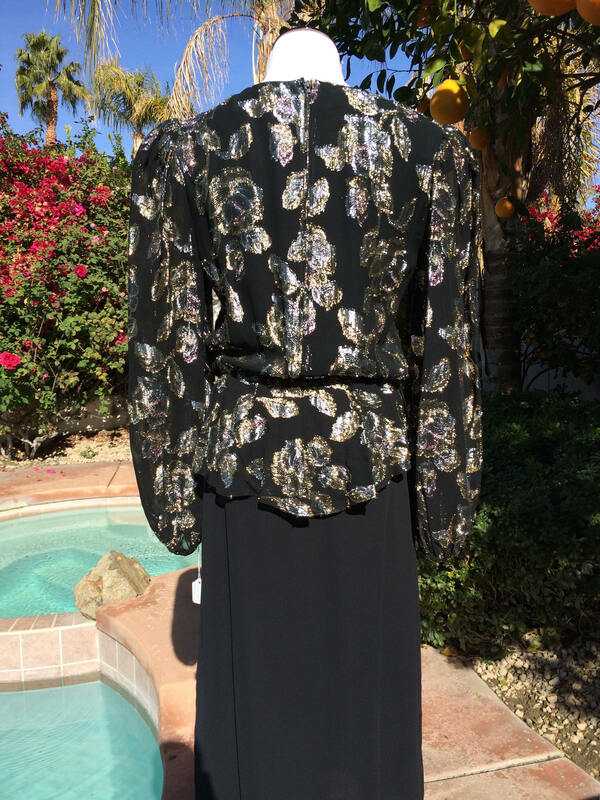 So cute and has those terrific 80's shoulder pads for the Golden Girls or Dynasty look! length from shoulder seam 46 in.